Vice President Kembo Mohadi's divorce case has taken a dramatic turn after his estranged wife - recently given a restraining order against her husband - filed a High Court application challenging the protection order. This comes after the former State Security minister was granted a protection order against his wife after he petitioned the Civil Court. His wife, however, claims in her application for review, that the magistrate who entertained the application for a protection order did not have required jurisdiction to deal with the contested divorce case. Through her lawyers, Scanlen and Holderness, Mohadi's estranged wife Tambudzani Muleya filed the application for review on Tuesday this week. This comes after Mohadi filed another application at the Civil Court, in which he is seeking to have his estranged wife charged with contempt of court for violating conditions of the protection order granted against her last month. "The matrimonial assets referred to in the protection order includes immovable assets whose value exceeds the $10 000, immovable properties known as number 2 Benata Way Alexandra Park, Harare and 108 Impala Drive Beitbridge. "Each of the immovable properties mentioned above has a value of more than the jurisdiction of the Magistrates' Courts in terms of Section 11 of the Magistrates' Court Act and the Magistrates' Court (Civil jurisdiction) Monetary Limits) Rules, 2012, SI 163/2012. The protection order granted by the first respondent deals with rights in respect of immovable property which the Magistrates' Court lacks jurisdiction," Muleya said. 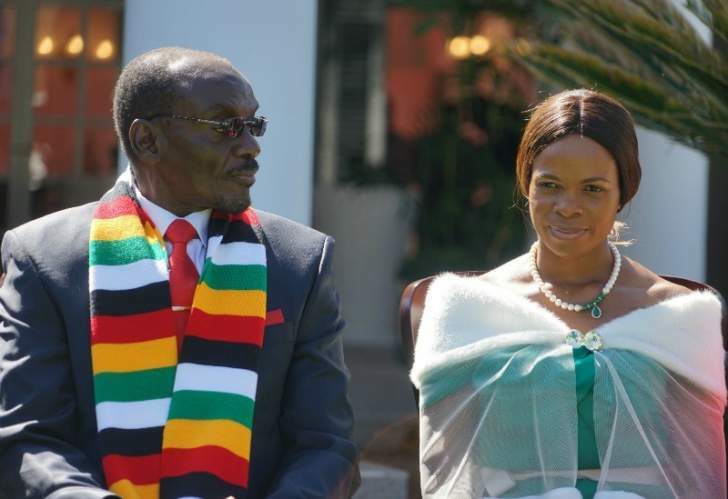 The divorce proceedings between the two started in September last year, when Mohadi, who was then State Security minister, petitioned the High Court in Bulawayo seeking nullification of the couple's divorce claiming their marriage had irretrievably broken down. But in August this year, Mohadi applied for the divorce matter to be transferred to Harare High Court where it is now pending determination. In August this year, Mohadi, through his lawyers, Mugiya and Macharaga Legal Practitioners, approached the Harare Civil Court seeking a protection order against Muleya on the basis that violence against him had escalated. In her founding affidavit, Muleya said when Mohadi filed for an interim protection order she "did not see any reason to oppose the application since I had no issues comply with the interim protection order as set out in the DV3 form attached to the application". "On September 21, 2018, I was surprised to find attached to an application for contempt under DV1797/18, a protection order granted terms relating to immovable properties belonging to the applicant (Muleya) and the second respondent (Mohadi)." Muleya said the said protection order barred her from accessing any matrimonial assets which are the subject of the divorce proceedings under case number HC2520/17, except only through the written consent of her husband or his designate until the finalisation of the divorce case. According to Muleya, some of the terms set out in the protection order were not clear and terribly vague. "The applicant was barred access to the properties that she resides/lives at whilst in Harare and Beitbridge. It also barred her access to the business premises, which access she requires to enable her to prepare for trial. "The terms appear in the protection order granted but were not mentioned in the ex-parte application. The terms read more like an ejectment order rather than a protection order. The matter was not dealt with in a lawful, reasonable and fair manner," she said. Mohadi has not yet responded to the application, which is still pending before the High Court.